You know how hot text messaging is right now. As a result, phones equipped with QWERTY keyboards have become increasingly popular. In order to satisfy the growing demand for such handsets, AT&T has announced its intentions to roll out no less than four new messaging devices during the following weeks,safe from the Nokia E71x and the Samsung Propel Pro. Those who enjoy impressing others with up-to-date gadgets should really visit the carrier’s stores on April 7. This is when the Samsung Impression should hit the stores. It features a 3.2-inch AMOLED touchscreen for vivid image quality and a side-sliding 4-row QWERTY keyboard to meet your messaging needs. In addition, a 3-megapixel camera is also on board. Guess what – you’ll be able to get this one for $199.99 after a $50 mail-in rebate. Now here’s an offer phone by LG – the Xenon, of course, equipped with a side-sliding keyboard. The device boosts a 2.8-inch touch-sensitive screen, 2-megapixel camera and support for popular AT&T services like AT&T Navigator, Napster Mobile, eMusic Mobile and others. The Xenon will come in three different color solutions in order to suit various kinds of tastes: black, blue and red. The price is $99.99 after a $50 mail-in rebate. Line up at the stores no sooner than April 8. Next, we have the other LG proposal that should light up your boring days - the Neon. 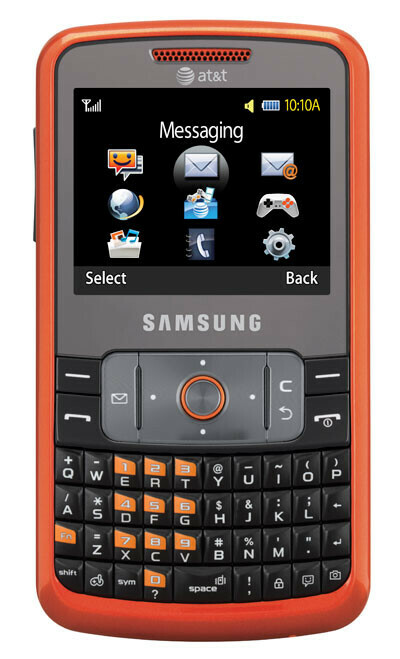 Earlier photos of the phone revealed that this would be a North American version of the KS360. The screen of the European variant is touch-sensitive, but its use is limited only to dialing numbers. We guess it will be the same for the Neon but will know for sure once it is available, which, according to the carrier, would happen in the following weeks. 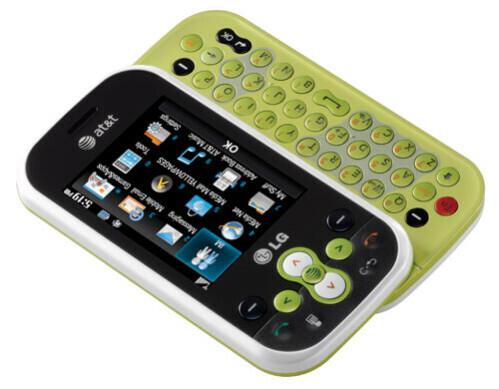 More on the youthful side, the Neon also sports a side-sliding QWERTY keyboard, 2-megapixel camera, access to Instant Messaging, Mobile Email, AT&T Music and so on. Unfortunately, the exact price has not been announced yet. 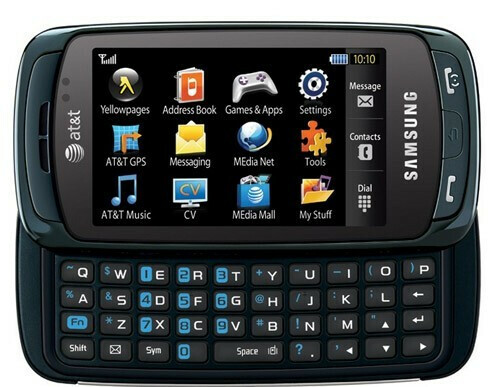 The list ends with the Samsung Magnet, a slim budget phone for the younger users, designed as a rival of the Pantech Slate. 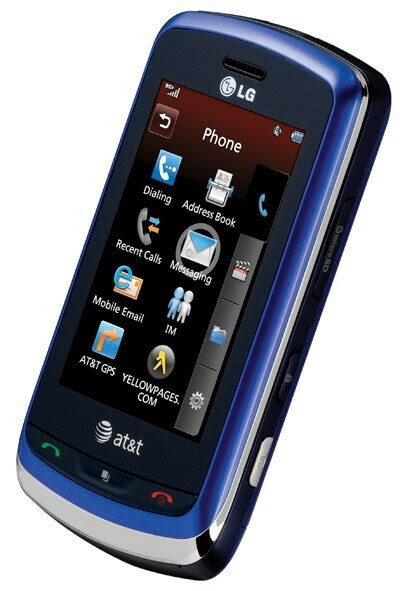 Aside from defining it as a low-cost device, AT&T has not provided an exact price for this one. Still, if you do not want to slide open your phone every time you wish to type something, this one should suit you best, as it has taken the convenient candybar shape. Release dates are also out of reach, but if the carrier is to be trusted, it should come out really soon, in just a couple of weeks. In case you are a true fan of messaging stay tuned as we might as see these toys at the CTIA event, starting April 1. Also have in mind that the prices we mentioned above are available only with a two-year service agreement with AT&T. the xenon and samsung slider are both real nice. but of course godfather cant admit that since they arent heading to verizon. The AT&T Xenon is the best out of the bunch. I like the Etna, but the touchscreen is pretty much useless since it can only be used for dialing. The Samsung Impression impresses. As for the Magnet...ehh. I'm really hoping that the VX11000 (if it really ends up being a slider) ends up looking as nice as the Xenon. Those phones look really nice actually except for the Sam. Magnet.